Quartz is having a moment in kitchen interior design and with good reason. The engineered stone made of about 90% Quartz and 10% binder is gaining popularity for several reasons. 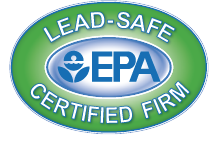 It is comparable in price to granite, more durable, and more environmentally conscious. 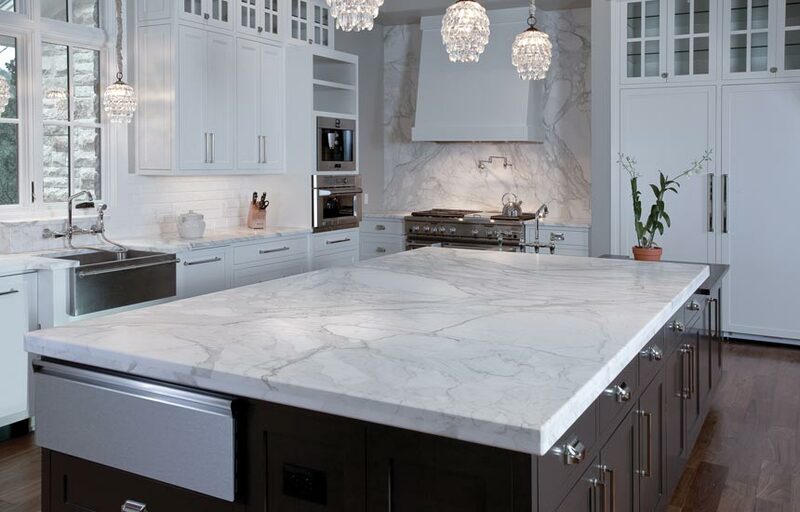 Quartz can have a unique sparkling look or be made to mimic the appearance of granite or marble countertops. At approximately $80 per sq ft and up, it’s obvious why this is becoming the most common countertop choice in kitchens today. Granite countertops were the gold standard of kitchen design for several years, and they still are a wonderful choice that will give your kitchen an updated look. Some people prefer 100% natural stone slabs, and for those people granite is a great choice that is still affordable starting at approximately $75 per square foot. They are relatively durable with low maintenance upkeep but these countertops are slightly more prone to chipping, staining, and need to be re-sealed eventually. Marble is a luxurious natural stone choice that will give your kitchen an elegant, high end look. Starting at about $85 per square foot, marble is one of the most expensive choices. It also requires more maintenance than Quartz or granite. It is a softer stone that is more prone to chipping and staining. However, despite these setbacks it is one of the most beautiful and timeless choices. Butcher block countertops are a great choice for a rustic or farmhouse kitchen design. They can be quite environmentally conscious when using reclaimed wood. Beginning at an average of $75 per sq ft, butcher block countertops are mid range in cost and also mid range in maintenance. Sealing prevents bacterial issues but this must be kept up over time and liquid spills must be cleaned up quickly. Depending on the look you are going for, more regular mineral oil application may be required. Less common counter top choices that are still current and bring value and aesthetic appeal to your kitchen include sandstone, soapstone, concrete, and lava. The pros and cons depend on many things including the kitchen design look you are going for, but rest assured these are also great choices. More economical and/or less common choices include solid surface countertops, laminate, resin, recycled glass, stainless steel, tile, porcelain.